3ie organized a day and a half of public events on 7 and 8 October to mark Delhi Evidence Week. The theme of the conference was " Using evidence to tackle development’s ‘wicked problems." Our researchers presented in the following sessions organized by 3ie for the event. 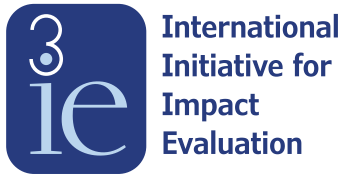 1) Doing and using impact evaluations: what does it take? The objective of the session was to bring together researchers and their implementing partners to reflect on their work on 3ie-funded impact evaluations. Below is the presentation by Shannon Maloney, Research Manager, IFMR LEAD. The objective of the session was to discuss the opportunities and limitations that technology, and open and large data present in generating high quality evidence and specifically impact evaluations.